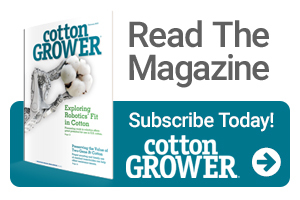 The decisions cotton farmers are making now will determine their success next fall. While genetics and other factors impact yield, the choice of an effective weed management plan can’t be overlooked. For Arkansas farmer Jack Kent, one of the decisions he’s counting on is using the Enlist weed control system. Kent says the combination of PhytoGen brand varieties with the Enlist cotton trait and Enlist Duo herbicide are working great in his fields. He says farmers need this new technology. He cites yield monitoring, genetics, herbicide technologies and insect protection as examples. One practice that’s helping farmers achieve more yield potential is the use of multiple herbicide modes of action. This helps keep yield-diminishing weeds at bay, limiting development of resistant weeds. The key, Miller says, is using multiple effective herbicide modes of action in a season-long program approach against problematic weeds. Enlist Duo and Enlist One herbicides are effective on many of the most troublesome weeds Southern growers face today. Kent likes the idea of having these herbicide modes of action available. With burndown and residual products, he’s shooting for four or five modes of action in his fields. Kent says Enlist Duo herbicide is extremely easy to use, particularly after his experience spraying an Enlist field upwind from cotton without the Enlist trait. “We followed the label, and it stayed in the field just like it was supposed to,” he reports. “We applied Enlist Duo on soybeans catty-corner to a conventional cotton field. In years past, that would have been an absolute disaster if we sprayed traditional 2,4-D so close to cotton. 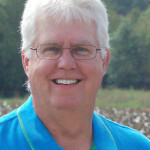 Kent also says the PhytoGen cottonseed with the Enlist trait and the Enlist soybean varieties he planted were excellent yielders. Growers who try the Enlist weed control system report high satisfaction. The benefits are causing farmers such as Kent to make plans based on this valuable weed control technology.